Cream color pack of 12 hair ties to blend in with blonde hair. 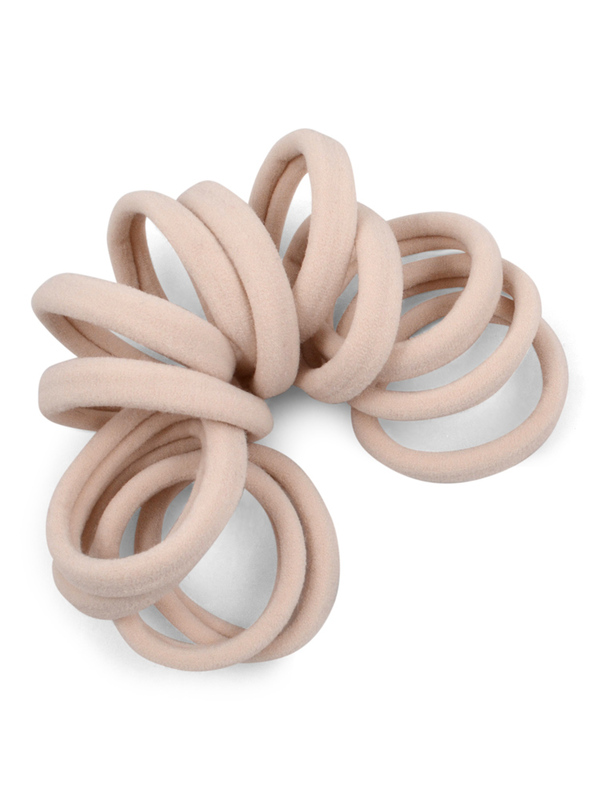 Super stretchy, soft and comfortable hair elastics that are gentle on your hair and great for working out and everyday wear. ALL HAIR TYPES - This style is really stretchy and even though it is only 1.5" (40mm) across, it will wrap around your ponytail at least 3 times, even with thick hair. NO-SNAG - Seamless nylon and elastic hair ties with no metal won't snag or damage your hair. 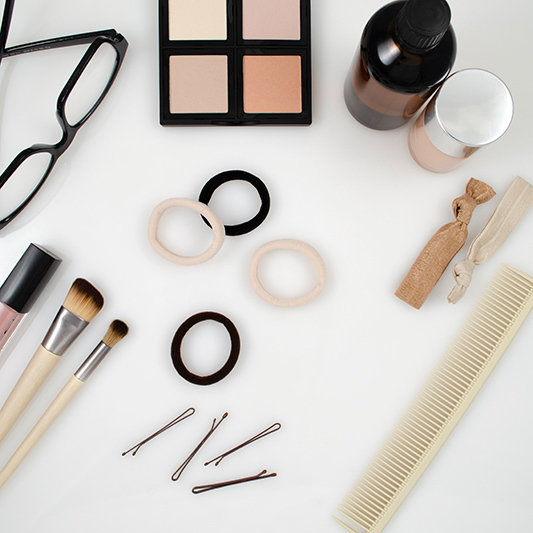 MATCH YOUR HAIR COLOR - Light cream hair elastics to blend in with Blonde hair. Comfortable on your wrist as a bracelet or in your hair securing a ponytail or bun. These bands will match pretty much any shade of blonde. They are so soft and so versatile. They work wonderfully for my daughter who has strawberry blonde hair. I've tried a lot of different hair ties. These are my faves by a landslide. Love them. Probably equally to the original Cyndibands hair ties.